Low back pain is the #1 cause of disability worldwide. Chiropractic physicians provide higher patient satisfaction at lower cost and seeing a chiropractor first is associated with decreased risk for back surgery. I had a great time at the South Carolina Public Health Association Annual Conference. I met a lot of great people. The presentations were excellent and I enjoyed Dr. Benjamin’s (executive director of the American Public Health Association) message. As a chiropractor, I strive to help my patients with pain and injuries and make their lives better. Health is about much more than just the absence of disease. That’s why I encourage patients to lose weight, quit smoking, eat healthy, exercise and reduce stress. I decided to join the South Carolina Public Health Association, an organization dedicated to improving the health of all South Carolinians. Back and neck pain are leading causes of disability worldwide, at 1st and 4th place, respectively. 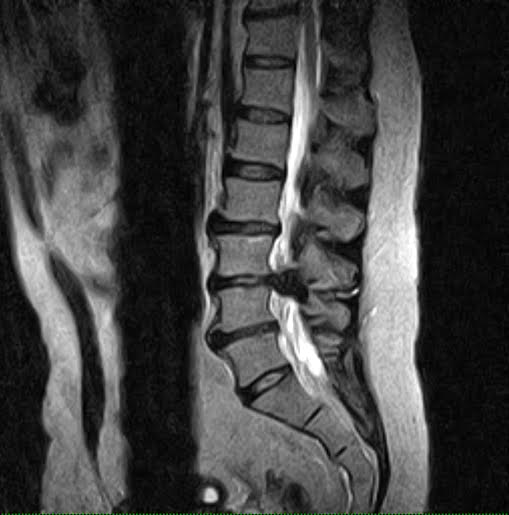 Lumbar MRI showing disc degeneration and large herniated disc. Dr. Luke Henry, chiropractic physician, demonstrates spinal manipulation (thoracic spine adjustment using Palmer / Gonstead single hand contact. Lack of public awareness accounts for inequity in utilization of chiropractic and other forms of complementary medicine. An expanded role for chiropractic physicians would help decrease the burden on primary care and improve access for underserved populations. Low back pain is the leading cause of disability worldwide, and is the third most burdensome condition, after ischemic heart disease and chronic obstructive pulmonary disease. The lifetime prevalence is 80% in adults, with 20% of cases becoming chronic. Physical workload, childhood socioeconomic status, and educational inequality are predictors for increasing back pain. A primary care physician shortage is expected. Back pain is among the most common reasons patients see a primary care provider. Chiropractic physicians are considered complementary but are educated as primary health care providers. Evidence supports efficacy and cost effectiveness for neck and back pain and suggests that chiropractic decreases pharmaceutical costs, hospital admissions, and burden on primary care. Barriers to utilization include insurance limitations, antiquated scope of practice laws, and lack of public awareness. An expanded role for chiropractors would help decrease the burden on primary care and improve access for underserved populations. Dr. Henry has provided conservative treatment to thousands of patients suffering from neck and back pain and directed a multidisciplinary practice in Greenville, SC. He has authored published peer-reviewed research, served as a reviewer for several scientific journals, and served on a research advisory board at Sherman College of Chiropractic. Dr. Henry has presented at continuing education programs for the South Carolina Chiropractic Association, Sherman College of Chiropractic, Parker University and the University of Massachusetts Amherst. He has been recognized by managed care companies for cost efficiency. He is a member of the SC Chiropractic Association, the SC Public Health Association, and the International Medical Advisory Board on Spinal Decompression. He has volunteered at Greenville Rescue Mission since 2006, providing chiropractic services to the homeless. 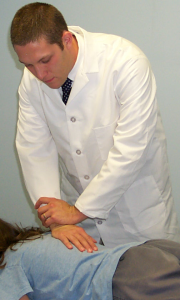 Licensed chiropractic physician: South Carolina (Therapeutic Modalities Qualified) and North Carolina. Published in peer-reviewed chiropractic journals. 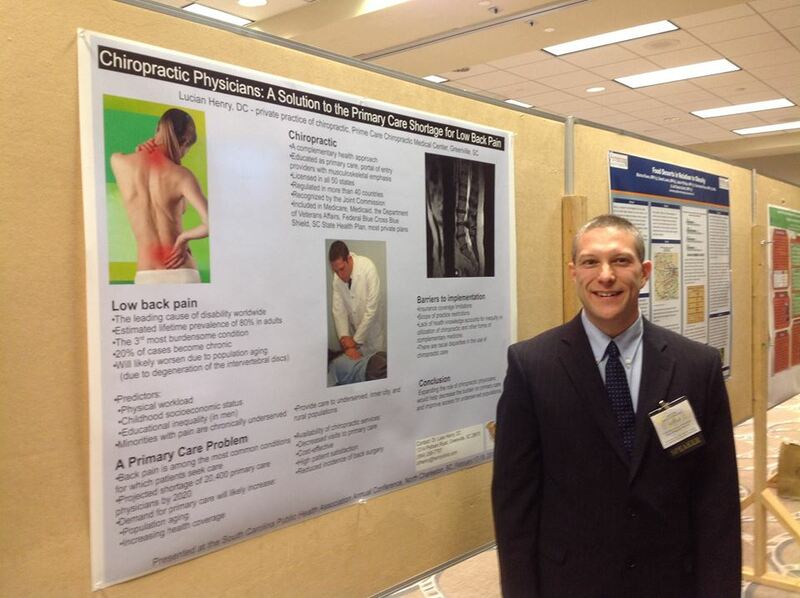 Postgraduate continuing education speaker at chiropractic colleges. Qualified as an expert in the field of chiropractic medicine, Greenville County Court. Vos T, Barber RM, Bell B, Bertozzi-Villa A, Biryukov S, Bolliger I, et al. Global, regional, and national incidence, prevalence, and years lived with disability for 301 acute and chronic diseases and injuries in 188 countries, 1990–2013: a systematic analysis for the Global Burden of Disease Study 2013. Lancet. 2015;386:743–800. Low Back Pain Fact Sheet. National Institute of Neurological Disorders and Stroke., U.S. Department of Health and Human Services, Public Health Service, National Institutes of Health Bethesda, Maryland. December 2014. U.S. Department of Health and Human Services, Health Resources and Services Administration, National Center for Health Workforce Analysis. Projecting the Supply and Demand for Primary Care Practitioners Through 2020. Rockville, Maryland: U.S. Department of Health and Human Services, 2013. Davis MA, Yakusheva O, Gottlieb DJ, Bynum JP. Regional Supply of Chiropractic Care and Visits to Primary Care Physicians for Back and Neck Pain. J Am Board Fam Med. 2015 Jul-Aug;28(4):481-90. Horwitz AD1, Hosek R, Boyle J, Cianciulli A, Glass J, Codario R. A new gatekeeper for back pain. Am J Manag Care. 1998 Apr;4(4):576-9. Baldwin ML, Côté P, Frank JW, Johnson WG. Cost-effectiveness studies of medical and chiropractic care for occupational low back pain. a critical review of the literature. Spine J. 2001 Mar-Apr;1(2):138-47. Smith M, Carber L. Chiropractic Health Care in Health Professional Shortage Areas in the United States. American Journal of Public Health. 2002;92(12):2001-2009. Passmore SR, Toth A, Kanovsky J, Olin G. Initial integration of chiropractic services into a provincially funded inner city community health centre: a program description.J Can Chiropr Assoc. 2015 Dec;59(4):363-72. Whedon JM, Song Y, Davis MA, Lurie JD. Use of Chiropractic Spinal Manipulation in Older Adults is Strongly Correlated with Supply. Spine. 2012;37(20):1771-1777. doi:10.1097/BRS.0b013e31825762b7. Hawk C, Long CR, Boulanger K, Morschhauser E, Fuhr A. Chiropractic care for patients aged 55 years and older: report from a practice-based research program. J Am Geriatr Soc 2000;48:534–45.